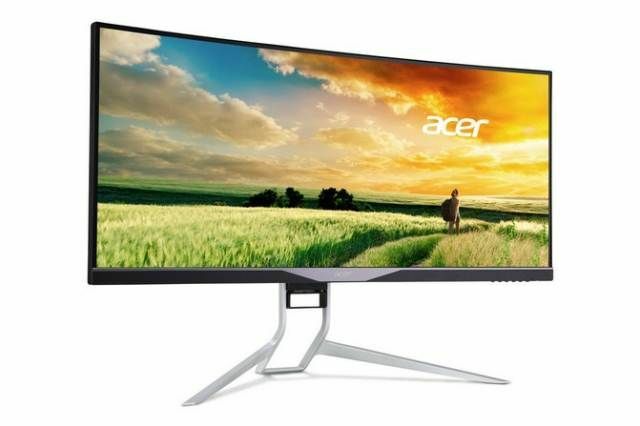 Curved display 34-inch, 21: 9 formats UltraWide, resolution ultra QHD (3440×1440) and NVIDIA G-Sync are some of the features of Acer XR341CKA, the monitor for players just announced by Acer at the next @ Acer which has just held at the Four World Trade Center in New York. This is the first curved monitor with NVIDIA G-Sync for the elimination of stuttering and tearing, thus able to provide players with an experience without compromising on the image fidelity of the game. But XR341CKA also offers DTS sound system, two speakers 7W, zero-frame design (which makes it ideal for multi-monitor configurations) and a futuristic aluminum base. The panel is IPS type with a viewing angle of 178 degrees. The monitor supports 100% of the sRGB color gamut, for accurate color reproduction and precise matching of the prints, as required by the design professionals and lovers of photography. 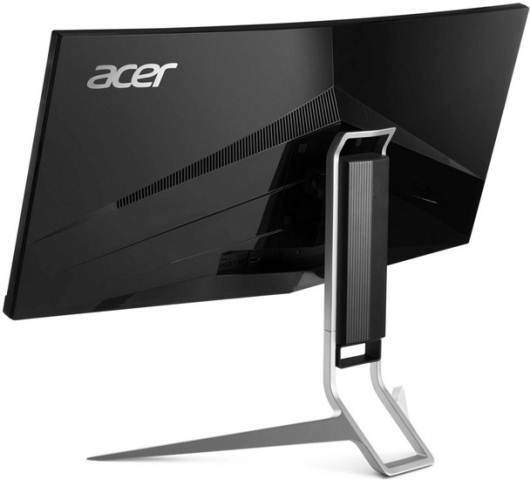 The curved display have not yet made inroads among the public of the players, but this solution Acer aims to establish new standards by placing each point on the screen at the same distance from the eyes, and thus providing a unified vision. Peripheral vision wider also will increase the perceived area than a flat panel of the same size. XR341CKA offers the functionality of a 6-axis color adjustment enabled by the latest generation of G-SYNC, on-screen display refresh rate and a choice of three different icons pointing. Users can not only verify the refresh rate of the monitor current, that with G-Sync is determined on the basis of the rate of disbursement of the frame by the video card, but even if the G-Sync mode is active due to the lower edge of the monitor lit up in red, changing in intensity depending on the update rate. Acer promises a solution aggressive in terms of ergonomics, since the XR341CKA can be tilted from -5 ° to 35 ° and vertically adjustable by 130mm, allowing you to find the most comfortable viewing position. 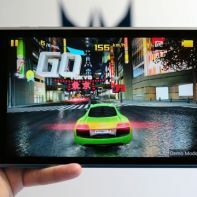 It also features a flicker-less technology to reduce eyestrain and ensure an even better experience with the games and work. The XR341CKA supports DisplayPort and HDMI inputs, comes with a USB 3.0 hub, able to charge high-speed smartphones and other devices. 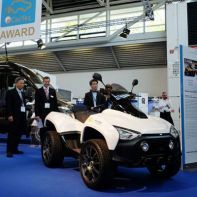 Of course all these features and technologies make up the price, which for this solution is € 1,399. 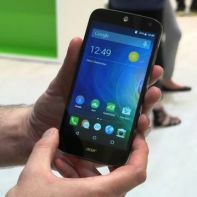 The Acer XR341CKA will be available in Europe starting in June.